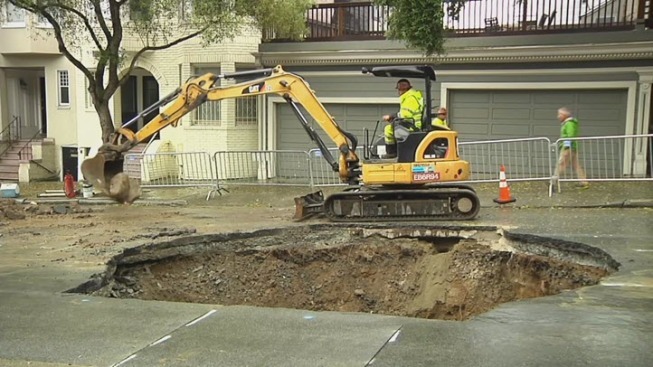 A 17-foot by 22-foot area of Sacramento Street in San Francisco's Pacific Heights collapsed Thursday evening, likely caused by a sewer main break, according to the San Francisco Public Utilities Commission. The sinkhole, between Lyon and Baker streets appeared around 5 p.m. while road crews were already nearby, filling in an indentation in the street, officials said. No injuries were reported. Crews secured the scene, closing a portion of Sacramento Street. Muni lines have not been affected. 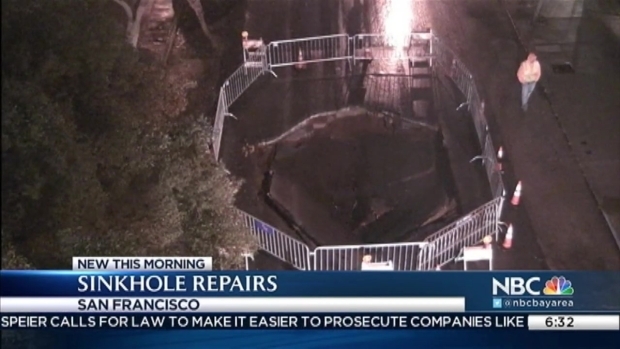 Repairs, which will begin Friday morning, are expected to take two to three days to complete.